Beautiful and unique One Page website for designer, Jason Briscoe. Each link in his bio zooms to a deeper level case-study layout with big imagery and clean typography. That Noe Display font is gorgeous. Great to see this is built on WordPress too! 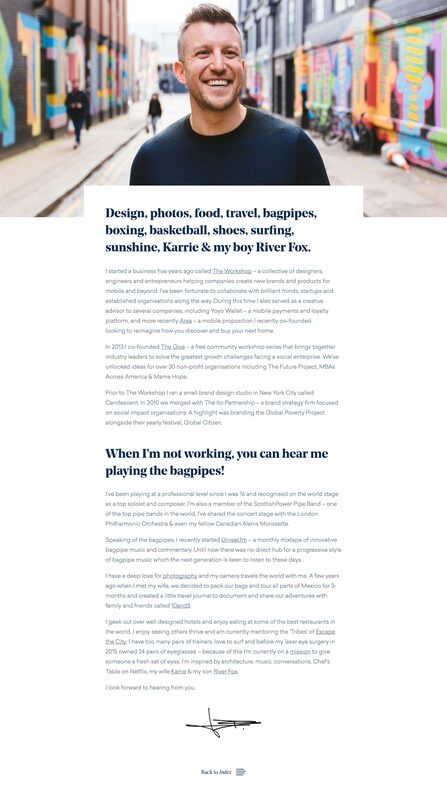 Design, photos, food, travel, bagpipes, boxing, basketball, shoes, surfing, sunshine, Karrie & my boy River Fox.